Ski resorts all around the world have created villages surrounding the base of the hill. 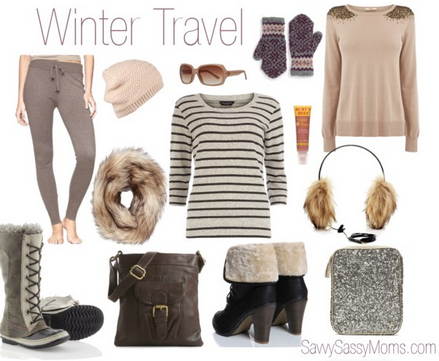 Visitors can shop, eat and enjoy an apres ski at the end of the day. 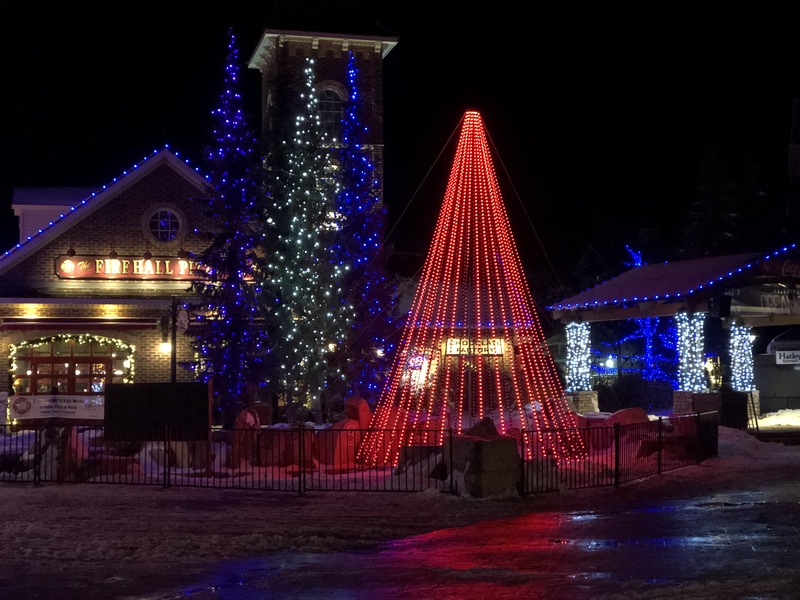 For many people, having a village and a ski community is a big draw that encourages a nightlife once they are off the slopes. After living in Whistler, B.C, for a few months years ago, being in the Blue Mountain Village takes me back to that time. I love walking through the village after a day of skiing and checking out all the shops. This holiday season, Blue Mountain Resort has added a free and engaging 1km trail known as the Blumination Dream Trail for visitors to enjoy. 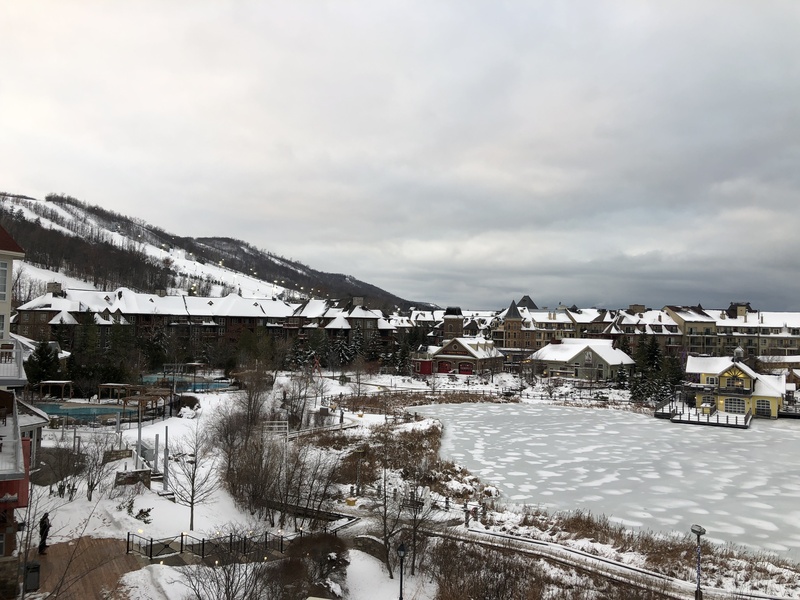 During my time in Blue Mountain, I stayed at the Westin Trillium House, a beautiful hotel in the village with a remarkable view! Standing on the balcony, you can see the entire Blumination Dream Trail along with the village beyond it and the slopes as a stunning backdrop. Delicious restaurants such as Oliver & Bonacini, provide a welcoming dining experience or in just a few steps, you can walk out into the village for anything you heart desires! The staff at the hotel were all so warm and welcoming always available to offer a hand or a map to get around the resort! 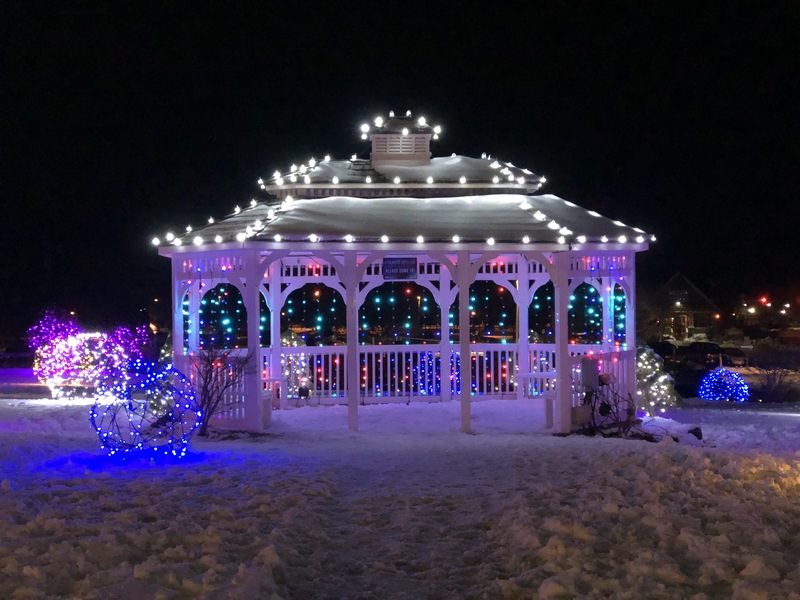 Any village is beautiful at this time of year with the Christmas lights and falling snow, but the Blue Mountain Village is brighter than imaginable with over 1 million lights between the Blumination Trail and the Christmas trees throughout the village. 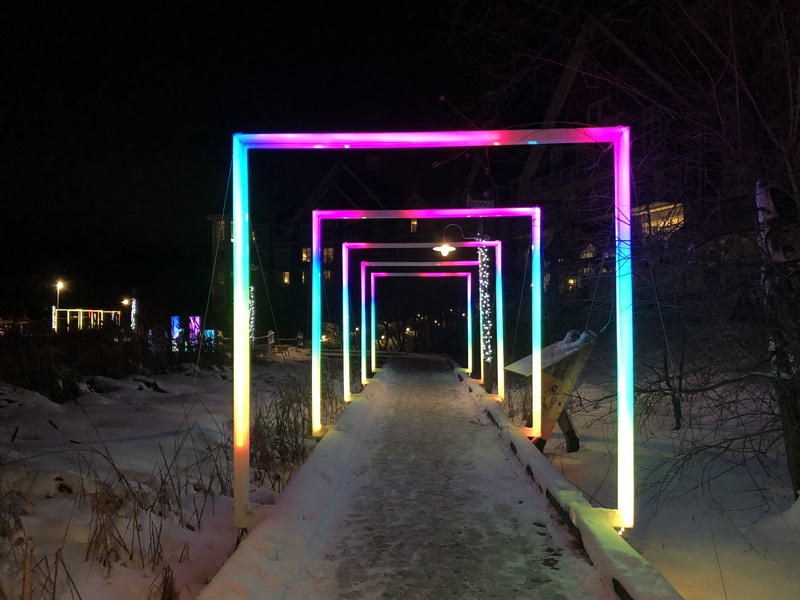 In partnership with Smash Reality Inc and the Landmark Group, Blue Mountain created the Blumination Dream Trail to welcome visitors in the village with an additional purpose to stroll through and around the village and Mill pond. With 10 stops along the way, there is so much to see, with a beautiful finale at the end. 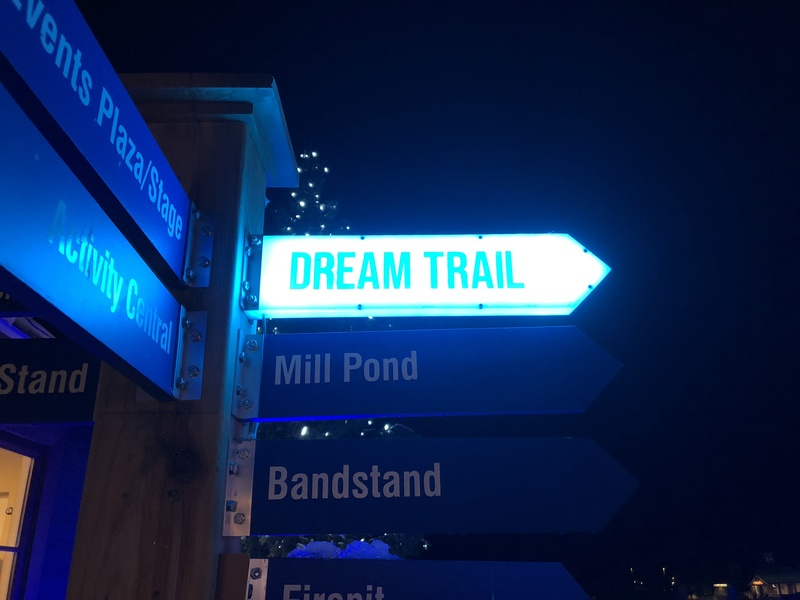 While you can start the trail wherever you wish, if you want to see it from beginning to end in it’s intended order, start at the Visitors centre where you will find the first attraction, the Field of Dreams. Experience hundreds of twinkling lights in the field of dreams as they set the mood for the rest of the walk and light up a path on the snow. As you head down the path to attraction number two, you will come across a beautiful gazebo covered in twinkling lights. A beautiful place to sit and relax with a cup of coffee, with friends or alone, to take in the beauty of the winter and all the incredible lights. As you walk inside, sensors set off the lights and they begin changing and twinkling around you! As you continue down closer to the pond, notice “Star Street” as little balls of light line the streets. Children couldn’t help but chase the lights down the path as they continued on! As you near the pond, there are tall bright colourful lights that encourage the imagination to get active! Visitors were standing in front talking to one another sharing their thoughts on the whether they looked more like icicles or crystals, both very festive and beautiful! Continuing around the pond, you come across “Sweet Dreams Await”, an interactive light show. With just a small movement of your hand under the sensor, mini trees all begin changing colour right before your eyes. Kids loved this stop on the trail and watched the lights change time and time again. We continued down the path to enter into the “Mind Warp”, a changing colour rainbow over head! As you come out of the Mind Warp, you will find the perfect spot to take a photo to document your trip! There are so many wonderful places to take pictures along the trail, that you may find yourself going round more than once! 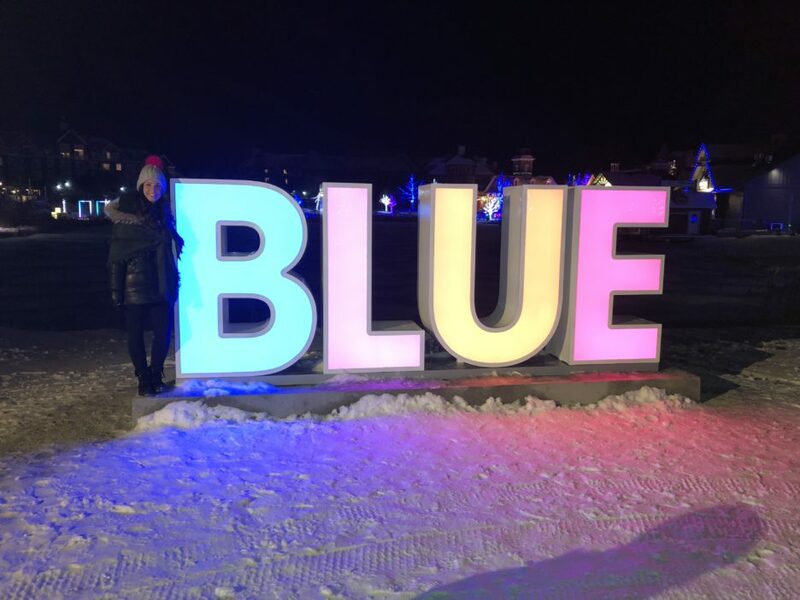 Don’t miss the BLUE sign that changes colour right before your eyes! Make another beautiful memory at this perfect place to stop and take a picture with the light all around you. Coming back around the pond, you will feel like a kids again as you approach “Light So Bright”, a life sized, fully functional digital LiteBrite! Even as an adult, you can’t help but push the buttons time and time again to change the colours and create your own picture! 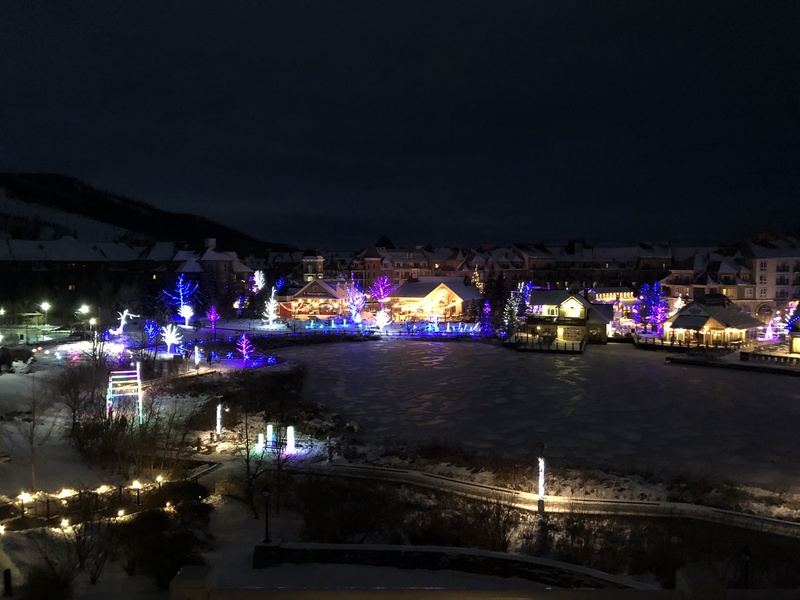 As you are playing, keep your eye on the time to make sure you don’t miss the “Illuminated Dreams Light Shows” at 6, 7, 8, & 9pm daily in the Events Plaza. Watch as the lights on the tree dance to 4 different songs. 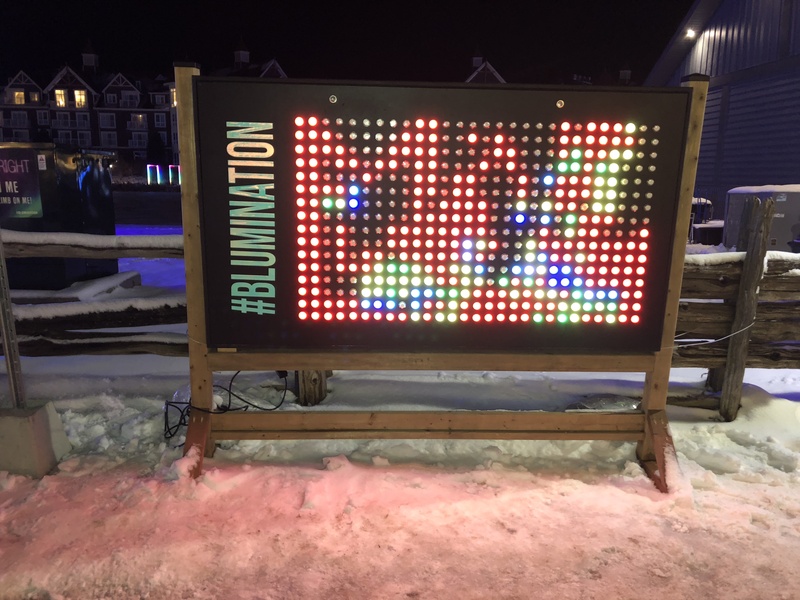 While you are there, if you send a tweet about it using the hashtag #Blumination, you will see your twitter handle light up the screen beside the tree! On Saturdays, don’t miss fireworks at 8pm. 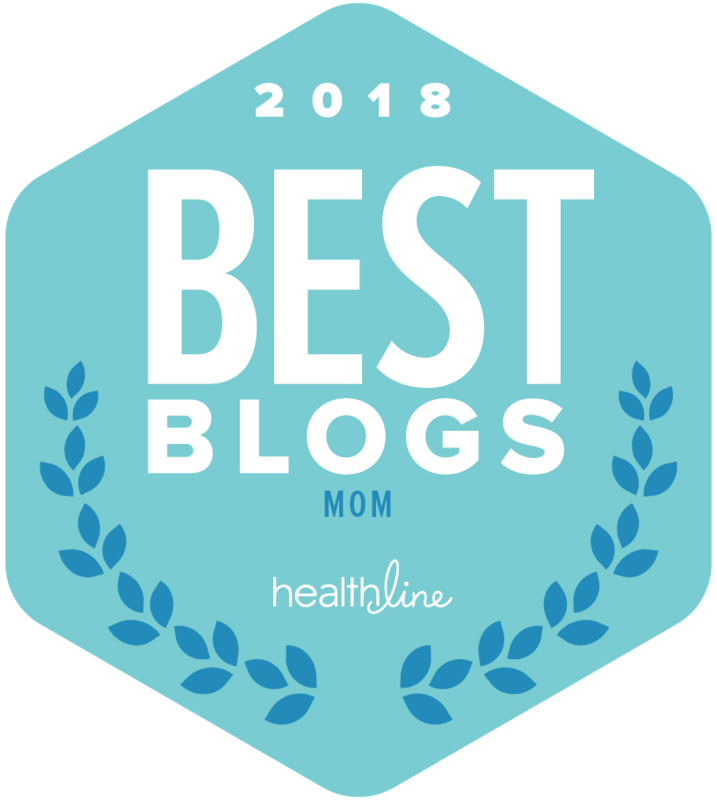 The #Blumination Dream Trail is a sight for sore eyes! It is a stunning display of lights, creativity and fun! It is an experience that the whole family can enjoy together time and time again until January 6th. During this time, shops are open until 9pm daily! 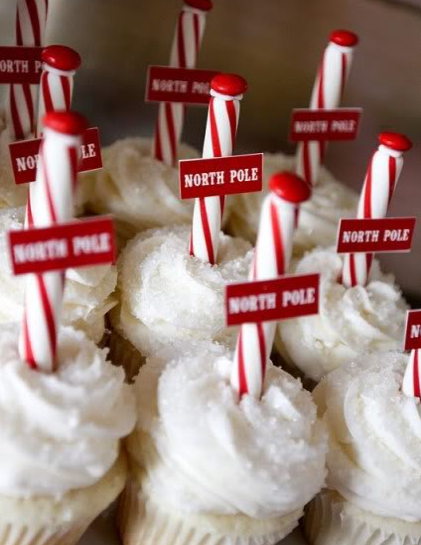 During the weekends, don’t miss out on free professional photos with Santa, horse & Wagon rides, maple taffy on snow! 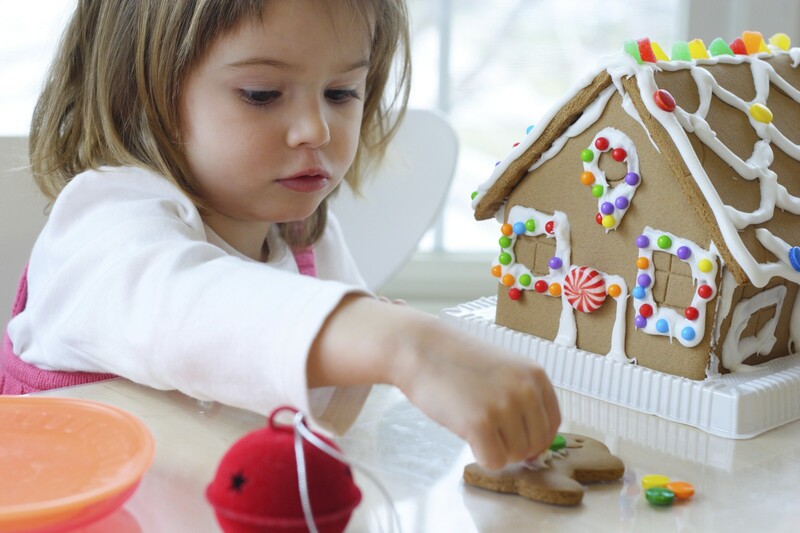 The Blue Mountain Village is a wonderful place to create holiday traditions!